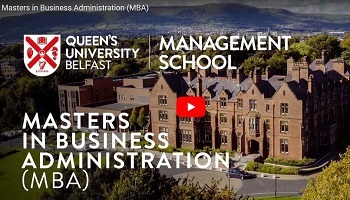 Queen’s has launched a new full-time Master of Business Administration (MBA) in response to the increasing demand from employers for MBA and business school graduates. 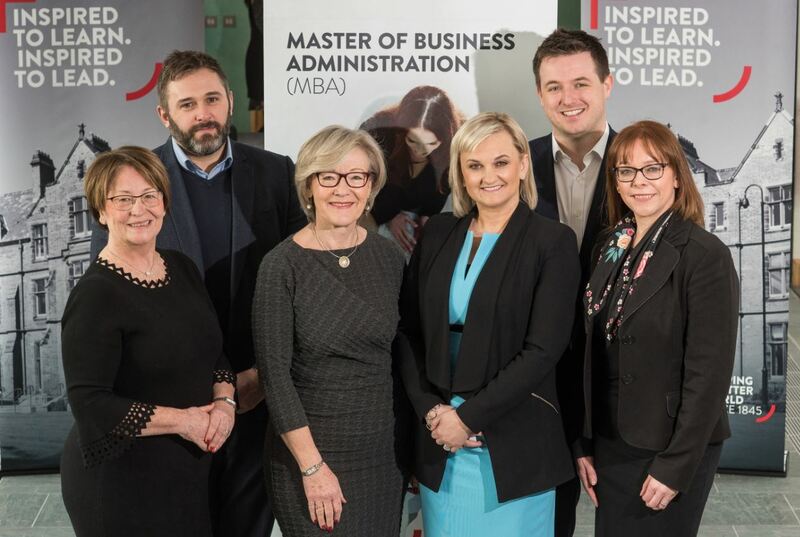 The news was announced at an official launch hosted by Dr Wendy Austin at Queen’s Management School on Tuesday 27 February 2018. The yearlong course includes a visit to San Francisco to meet leading entrepreneurs from global business start-ups, and established firms in a variety of sectors during a five-day International Study Tour in May 2019. It also features an off-campus residential focused on team-building and goal setting. Students will be able to choose a dissertation project tailored to their own personal interests. They will also spend four months working with a client organisation to deliver effective solutions. They will also learn about the latest management theories and best practice from leading international academics, and apply these through hands-on business and consulting projects. The Queen’s MBA will feature a year-long career development plan encompassing mentoring and alumni engagement alongside practical skills such as CV analysis and development, interview skills and networking strategies, to ensure graduate employment potential is maximised. Two key elements of the Queen’s MBA will be a focus on entrepreneurship and individual coaching. “One of the aspects of this MBA is to promote an innovative, creative entrepreneurial mind-set in our students, each of whom will take a core entrepreneurship module. “We also offer a one-on-one career advice programme during the MBA year, but also coaching and strategic planning of one’s career,” added Professor Kenny. To support students through the MBA, Queen’s Management School has announced a number of scholarships – 3 x £5,000, 4 x £2,500 and 5 x £1,000 – for home/EU and international postgraduate students commencing their studies in September 2018. Full details are available on the Queen’s MBA website. Caption (L-R): Anne Clydesdale, Director of the William J Clinton Leadership Institute at Queen’s; Alastair Coulson, Asset and Property Management Director, The Lotus Group; Dr Wendy Austin; Vicki Hassan, Head of Transaction Banking, Danske Bank; Richard Kirk, Regional Director, Institution of Civil Engineers; and Professor Nola Hewitt-Dundas, Head of Queen’s Management School.